I am really disappointed to say I haven’t done any Christmas related DIY this. I think going on holiday just flew me completely off the Christmas track. Even now I haven’t even started wrapping presents. To be honest, I like to put it off until after my Birthday that way I have something to look forward to in that week leading to Christmas. 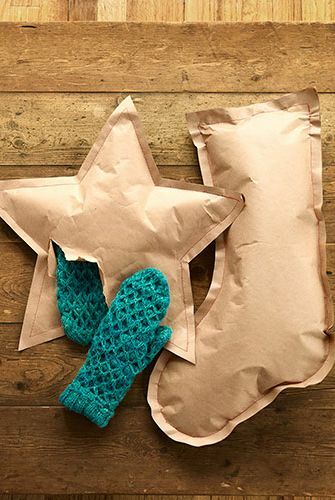 So to prepare me for that I’ve been looking at DIY wrapping ideas. Brown paper, a doily and letter stamps. 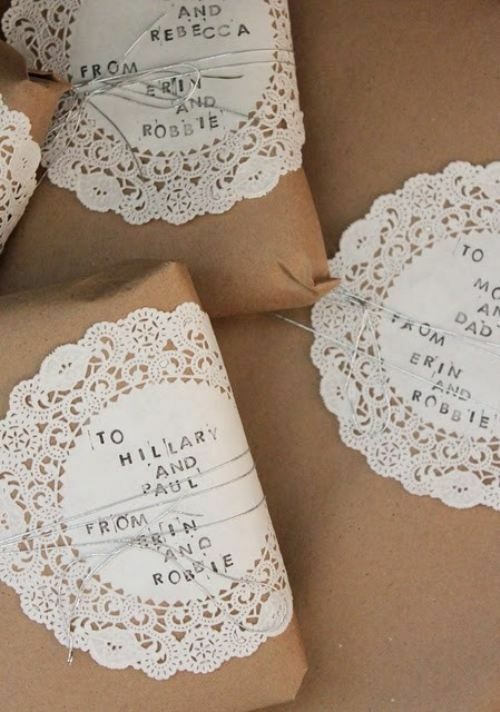 Easy peasy and really personal doily wrapping! An easy, rustic wrapping with an edicle treat! 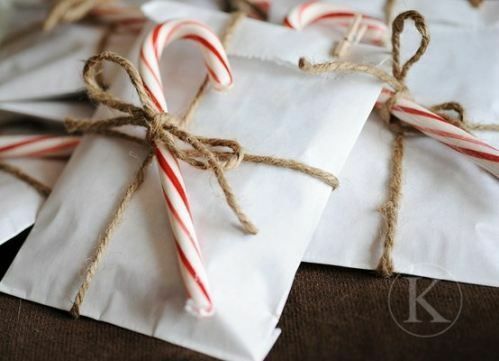 This twine and candy cane wrapping is perfect and if you don’t want a white wrapping you could always opt for polka dots! I love the simplicity of this Glitter Tape wrapping. 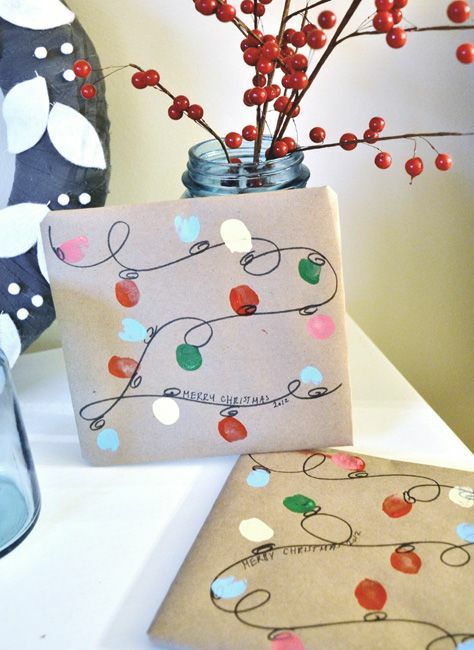 Washi tape is also a great idea for this simple wrapping. Any print or colour you like! I really love this stitched up gift pack. Definitely worth the extra effort to stitch up all sides when you get a lovely little shape like these! The cutest wrapping idea I’ve ever seen! 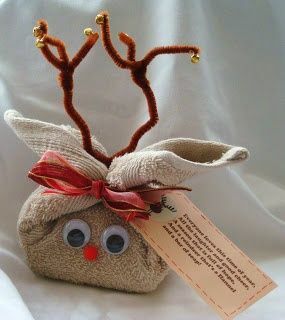 This little flannel Rudolph would make any baby or child happy. I think this Little finger lights wrapping is a great idea for anyone with a child. Let them paint their fingers on brown paper and connect them with a simle swirly line to create a string of Christmas lights!  I’d love to see your wrapping ideas so send any links over! What is your favourite from the ones I picked above?